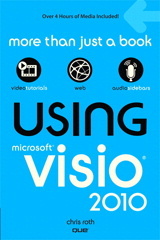 The promise of the Visio SmartShape is that one single shape can replace an entire army of symbols. With a little bit of parameterization, we can clear out the redundancy in our symbol libraries, thereby simplifying maintenance for our developers, and ease-of-use for our customers. Today’s article will demonstrate just how Visio SmartShapes can do that, and we’ll teach you how to conjure up some of the behind-the-scenes magic that makes it happen!